Our Management Development Programme starts in September each year and will see you running your own shop in just 9 months. Retail is not for everyone. It's fast paced and no two days are the same but if you're looking for a role that's hands on with real responsibility then this could be the perfect opportunity for you. Throughout the programme you will benefit from our great training and mentoring from a senior manager. You'll also receive a salary of £22,000 and other benefits such as 30 days holiday and 15% staff discount from day one. Sound good? Read on to find out more. Our Management Development Programme starts every September. No previous retail experience is required as our programme will take you from Retail Assistant to Shop Manager in just 9 months. 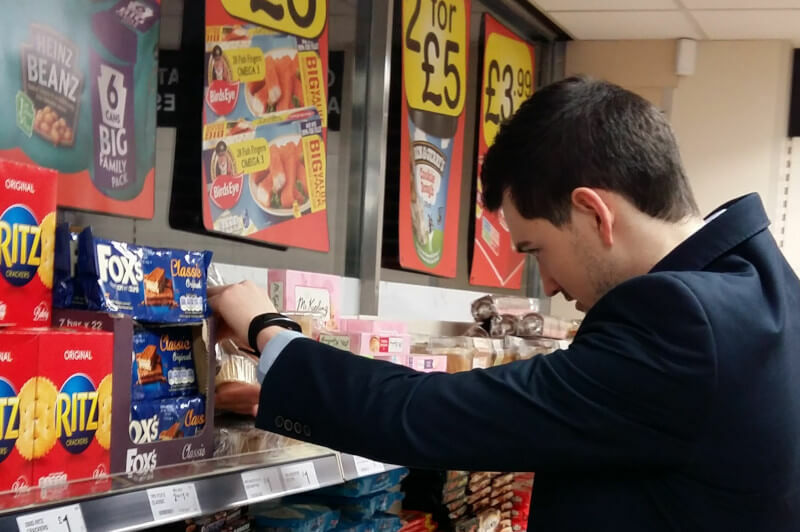 You will need to be hands on and customer focused as you will be leading your team to deliver a fast and friendly service in a clean and tidy shop. Our Shop Managers spend very little time in the office, preferring to roll their sleeves up and lead from the front. 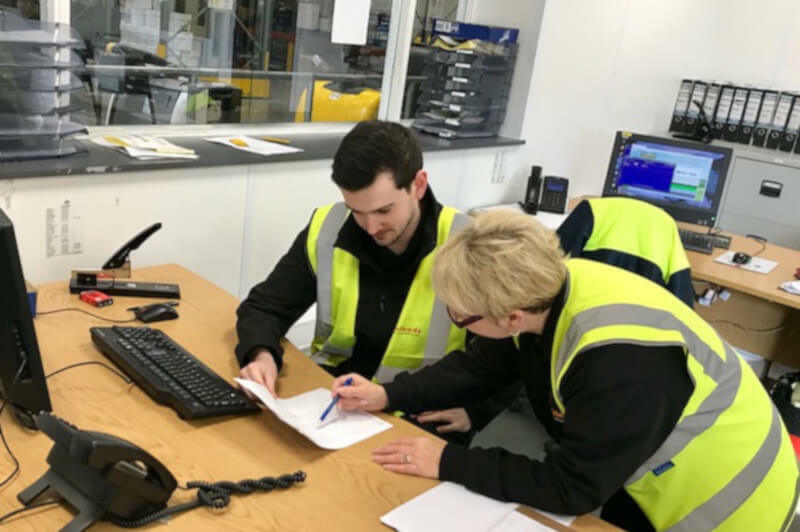 We want you to understand us inside out so you will spend time in other parts of the business learning how each team works hard together to look after our customers. Running one of our shops is not difficult but it is hard work and with our great training and the support of your manager, colleagues and mentor you will have every opportunity to succeed in your new retail career. Welcome to the team! You'll spend some time getting to know a bit more about us and what to expect across the next twelve months. 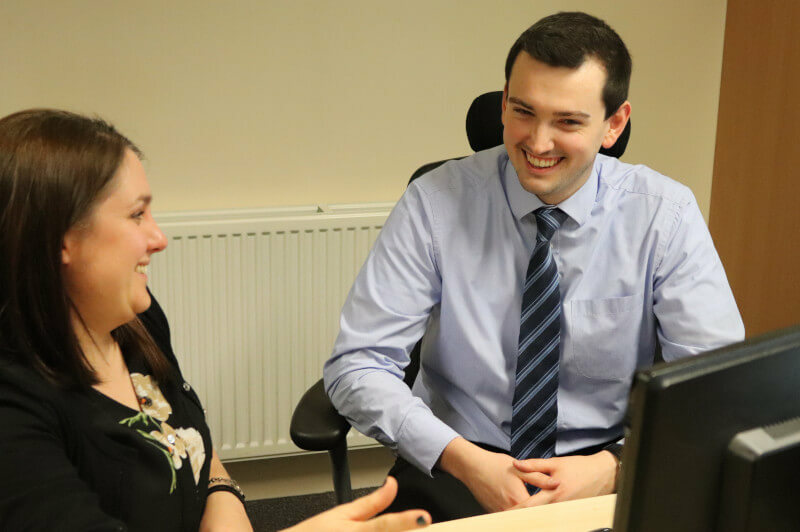 You'll meet some key people in our operations team including your mentor who you will have regular reviews with. You'll also meet your fellow colleagues on the programme. Most importantly we'll provide you with your uniform and ensure we have all of the details to make sure you get paid! During this time you will work hard to get to grips with the core operations within one of our busy shops. You will be expected to become a valued member of the shop team, working efficiently and to a high standard. Now it is time for you to take on real responsibility and learn the skills needed to be a Duty Manager. You will need to work hard, show initiative and act with complete integrity at all times. You'll spend a week working in one of our four distribution centres getting to see what happens once you hit "send" on the orders in your shop. You'll be doing everything from picking orders for shops, stock checking and administration. Relax and enjoy a weeks holiday and return refreshed ready to move on to the next stage in the programme. On to another new shop and it's time to put into practice all of the skills you learnt in your first shop. 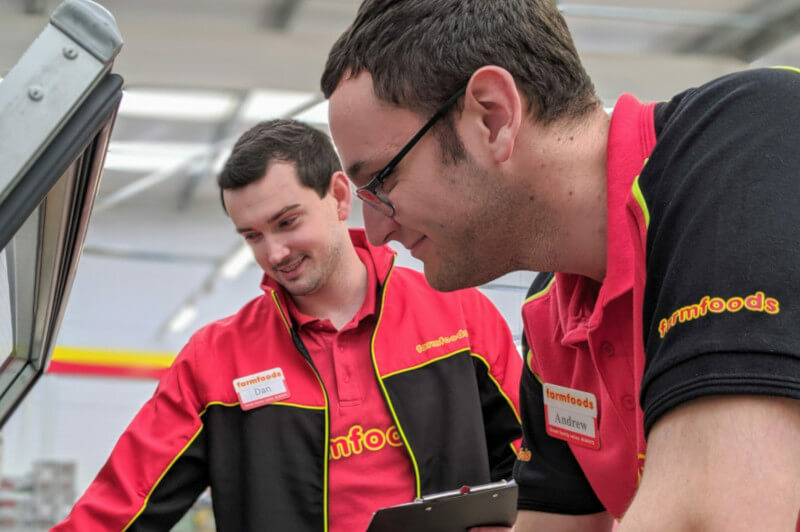 As a fully trained Duty Manager your new Store Manager will expect you to work hard and efficiently, and take responsibility for leading the shop team in their absence. 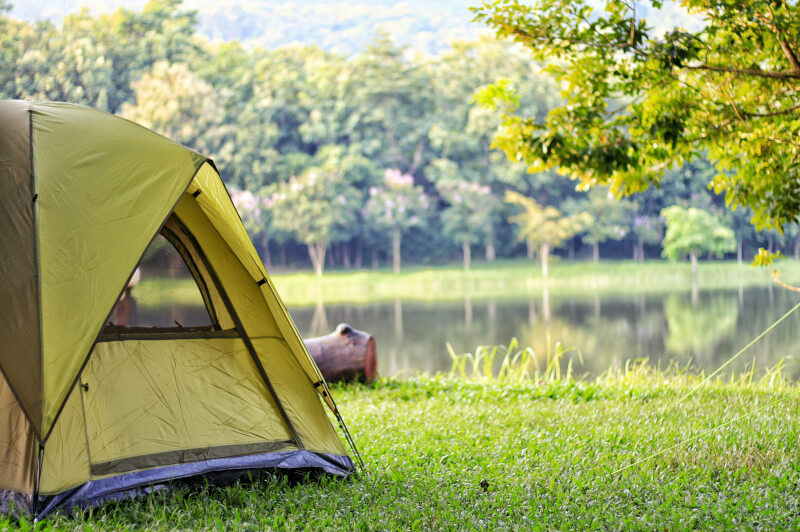 It's time to recharge your batteries with a well deserved two week holiday! Spend a week out on the road with a member of our shop auditing team. There is a lot to take in this week when you spend time in our Birmingham central office. You'll get a taste of what it is like to be part of our Customer Service, Buying, Marketing, Branch Returns, Payroll and Property teams. Phew! It's back to shop for the final part of your time as a Duty Manager. This is where you'll really begin to perfect your Shop Manager skills ready for the final stage. Another week's holiday already! Time flies when you're so busy learning everything you need to know to be a fantastic Shop Manager. It's that moment you've been waiting for and everything you've been training for over the past 9 months...your very own shop! You will be set challenging targets to achieve and must work hard to run an efficient shop and show that you are an effective manager. Your review & sign off meeting lets you reflect on the year. 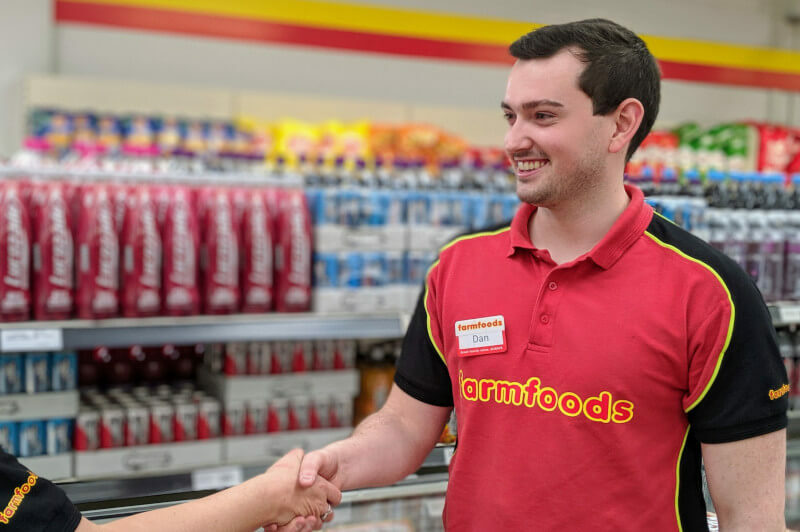 After this meeting you will be assigned a permanent Shop Manager position and you will discuss opportunities for your future career with Farmfoods. After completing our Management Development Programme you are uniquely placed to succeed wherever your ambitions lie. Relax and enjoy your final week's holiday on the programme knowing that your future is bright at Farmfoods. I’m Louise I live in Durham and graduated with a 2:1 degree in business management. I spend my spare time with my horse and socialising with my family and friends. WHY DID YOU CHOOSE A CAREER IN RETAIL? Retail was completely new to me and seemed a challenging and exciting industry to be a part of with a wide range of roles and opportunities. It’s a family owned business with values that make it a friendly and professional place to work. The structured programme really appealed and has given me many opportunities to learn different aspects of the business to support me develop into my role as Shop Manager. 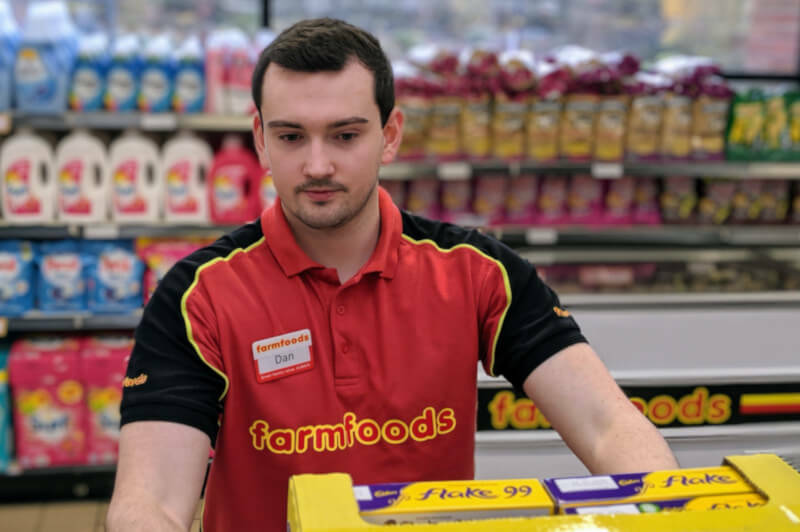 Every day is a different at Farmfoods, although the same routines and daily tasks are carried out, there is always something new that comes up and challenges my skills. This is all part of the process though and allows me to learn and grow as a manager. WHAT'S THE BIGGEST CHALLENGE YOU'VE FACED SO FAR? Stepping up from Duty Manager to Shop Manager and knowing that the shop was now my responsibility. With my experience and knowledge gained on the programme and the support I had available I made it through and I’m really proud of what I have achieved. WHAT ARE YOUR FUTURE DEVELOPMENT AND CAREER PLANS? I plan to continue developing my skills as Shop Manager by managing different shops to build the confidence and experience to pursue an Area Manager role with the company. After completing the Management Development Programme I became Shop Manager of the Hebburn store in Newcastle, I was Shop Manager there for around a year and really enjoyed it. I was looking for a new challenge and was delighted when I was successful in the application process to become an Area Manager in the South East of England. Trying to maintain a healthy work-life balance. I had to fit in running my own store in Newcastle, going to the gym and socialising with friends. Planning and prioritising was the key to overcoming this. WHAT WOULD YOU SAY TO SOMEONE WHO WAS THINKING ABOUT APPLYING RIGHT NOW? Definitely apply!!! This is a very exciting time to be part of Farmfoods. The continued investment in training and developing the people underlines Farmfoods' future vision and growth. My future career plans lie firmly within Farmfoods, as I believe that this company has the potential and resources to contend with larger retailers in the future. I hope to become a confident Area Manager and take on responsibility for additional shops. Retail has always been of particular interest to me, my dissertation at university was predominantly based around e-tailing. I consider myself a team player and a real ‘people person’ which is important in retail as you have to constantly interact with both customers and your colleagues. My name is Amy Stamper. After completing the Management Development Programme, I relocated to York to run a busy shop in Leeds. Now I am back in my home city running a shop in Liverpool. 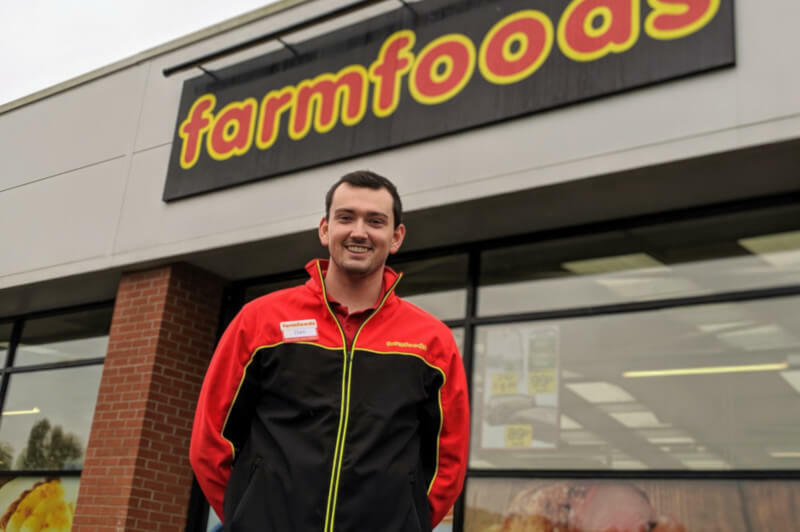 I had never worked in retail before joining Farmfoods, but was intrigued to learn more about the industry. I believe retail provides a varied and challenging way of work and the chance to learn valuable skills. Open up the store with a friendly, positive, customer focused team. We work hard as a team throughout the day replenishing shelves and freezers with stock, placing orders, working on the till, cleaning and creating a fantastic environment for customers at all times. The one thing I personally love most about Farmfoods is that every day is different and brings a new challenge bigger than the last. WHAT ARE YOUR FUTURE DEVELOPMENTS AND CAREER PLANS? At the moment I want to maintain a successful shop and develop my team. I will continue my journey with Farmfoods and through experience and training I will improve my skills as a Shop Manager. Re-locating was difficult, moving to a new environment was a daunting process. I struggled to adapt at first, but I was given all the support I needed from my team, both the Area and Divisional Manager and the neighbouring stores. We don't mind if you have never worked in retail before, if you meet these requirements we would love to hear from you! If successful in stage one you will be contacted by text, asking you to phone us and complete a short telephone call. If you reach this stage you will be invited to attend a group assessment centre. This is a day long event where you will take part in group tasks and individual assessments. This is the final stage of our recruitment process. 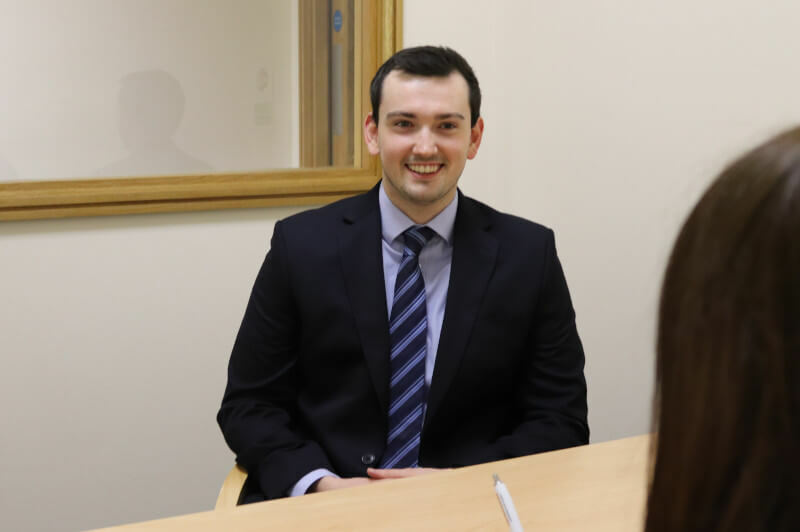 You will meet one of our Divisional Managers in a shop for a formal interview. Applications for our 2020/21 programme will open in September 2019. You must have achieved, or are expecting to achieve, a 2:2 or above in any specialism. You should also hold a full UK driving licence and have the right to work in the UK. Proof of both of these will be requested. The online application form consists of a number of short questions which enable us to get to know a bit more about you and also to help you decide if we are the right company for you. If you are successful at stage two, you will be invited to attend an assessment centre. Where and when will the assessment centres be held? Assessment centres will be held in a number of major cities across Great Britain in February and March each year. Our 2020/21 programme starts in September 2020 and will last for 12 months. Full training and support will be provided throughout the programme including; completion of our award winning retail training programme and attending group workshops in leadership and management. At the end of the programme you will have a final review with members of the senior management team. Upon successful completion you will be assigned a permanent shop to make your own. Will I be guaranteed a job at the end of the programme? 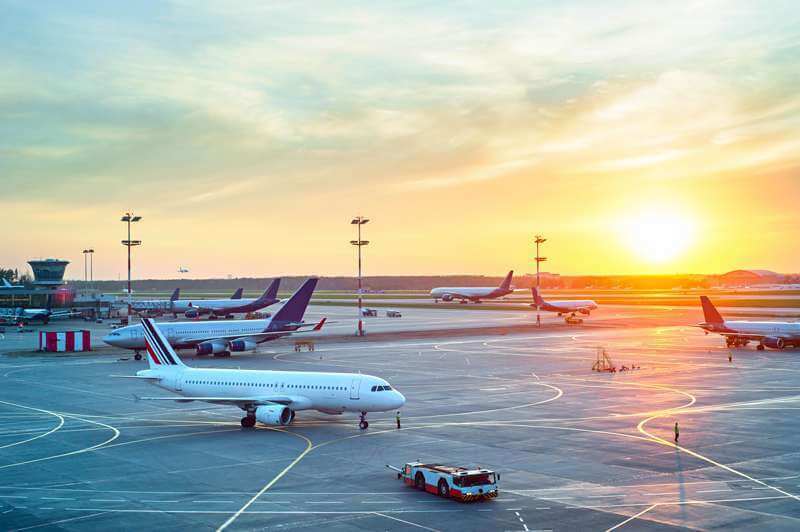 You will be offered a permanent position with us providing you have passed the criteria set out for the programme, for example the successful completion of your training and satisfactorily completing your regular reviews. Your final review will take place in August at the end of the programme. For the right people Farmfoods is a job for life. I think I might want to end up in another part of the business, e.g. distribution, buying or service management. Following your successful completion of the programme you will be assigned a permanent Shop Manager position. You will also be able to discuss opportunities for your future career with Farmfoods. Where you go after the programme is down to your own ability, personality and determination. There are permanent and secondment opportunities regularly available across our business. These opportunities require different abilities and skills and are always competitive but after completing our management development programme you are well placed to succeed wherever your ambitions lie. It is likely that you will have to move around a bit during the programme, however we will always take any personal circumstances into consideration. 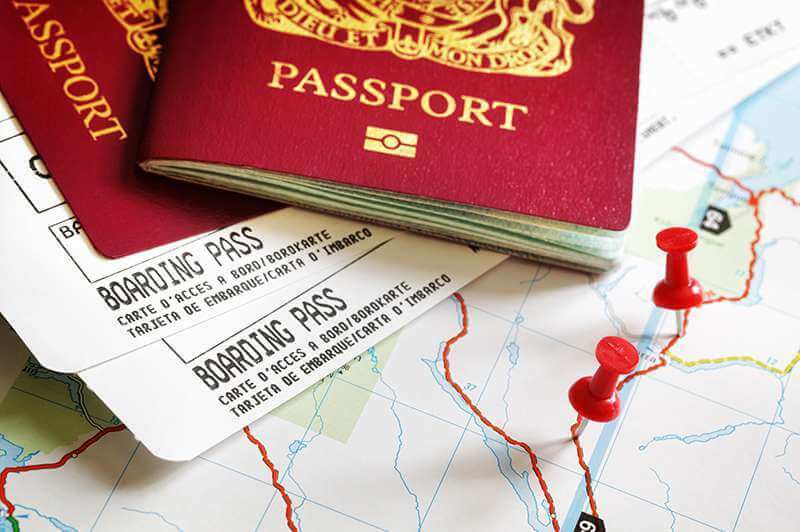 If you do move around then travelling and accommodation expenses will always be met. You will work 45 hours per week across 5 days. Retail is definitely not a Monday to Friday 9 to 5 job, so if this is what you are looking for you need not apply. Our teams work hard and nobody knocks off early. At Farmfoods we expect to go home a little tired, but pleased with a day’s work well done. You will receive full support and training throughout your time on our programme. You will also have your own mentor who will perform regular reviews with you to ensure you are progressing well, and who you can contact at any time should you have any concerns or questions. How many people are you looking to recruit? For the 2020/21 programme we are looking to recruit up to 50 people, but we don't let numbers get in the way of recruiting good people. If we find more than 50 candidates right for the role, we'll still make job offers. Why is the Farmfoods Management Development Programme a better opportunity than others? You will not find another programme that better balances training, responsibility and the buzz of a fast paced job. 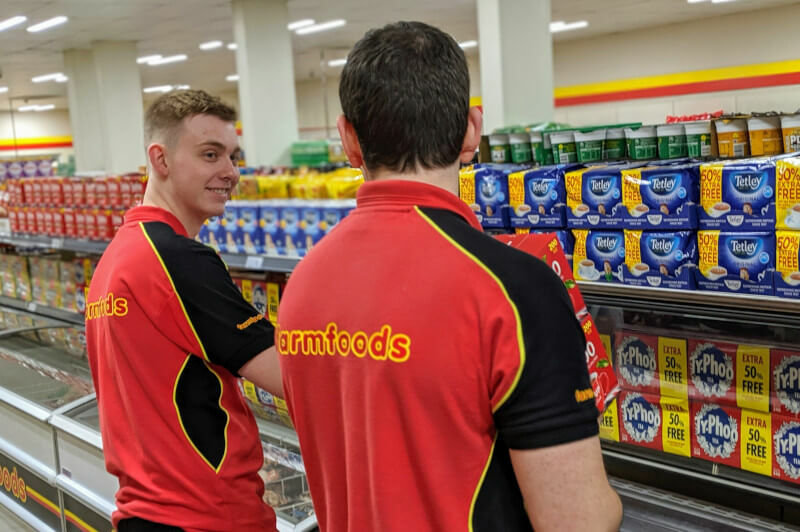 Add to that a guaranteed secure job (following successful completion) at a national company with great opportunities and family values; we believe the Farmfoods Management Development Programme is truly first in its class. Shortly after you apply you should receive an email thanking you for submitting your application and confirming that it has been received. We are unable to provide feedback at the application form stage due to the high volume of online applications we receive. However, we are happy to provide feedback following the assessment centre if you request it. Absolutely, you are welcome to apply again once our applications open for next year’s intake. Just make sure you take on board any feedback provided. I'm a mature student, can I still apply? Of course, we have no age limits on our programme. I'm a current Farmfoods employee, can I apply? Of course. Applications for our 2020/21 programme will open in September 2019.